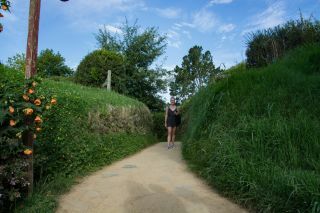 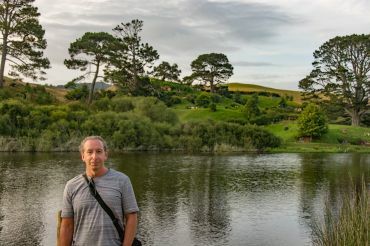 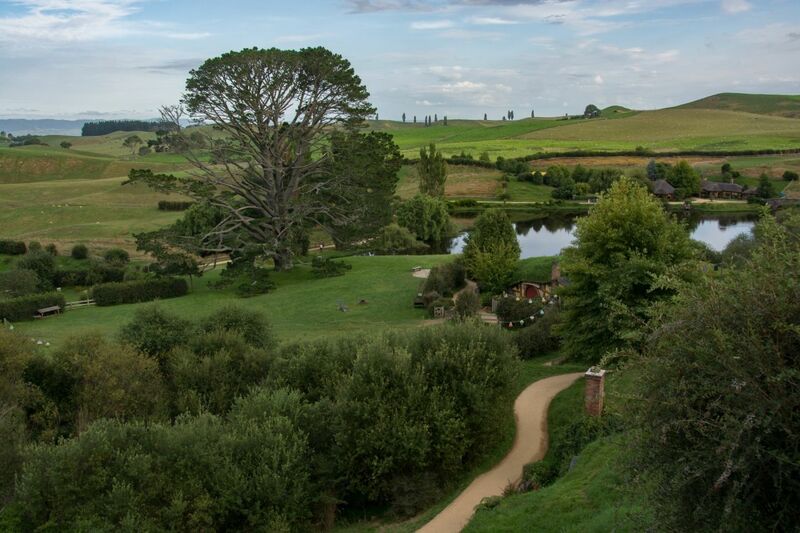 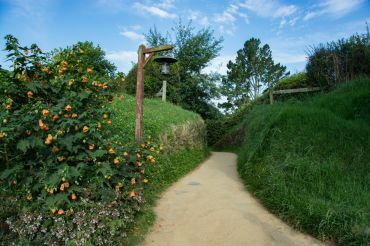 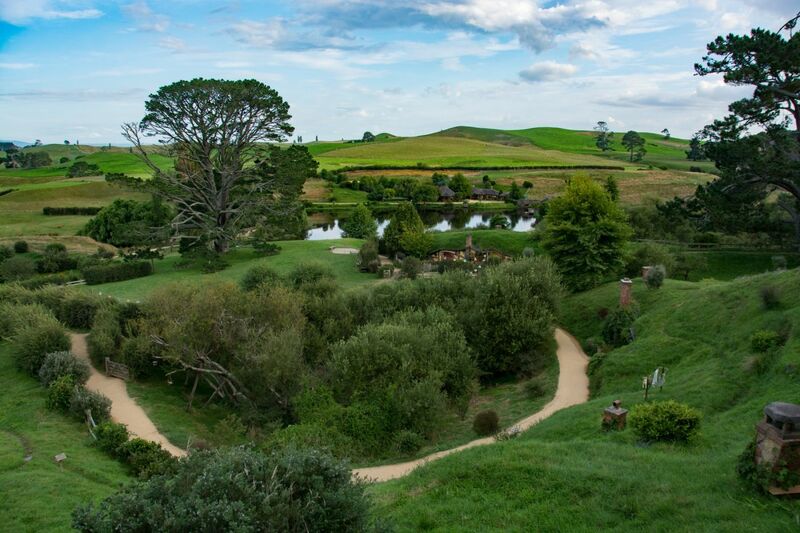 The trip to the Hobbiton movie set of 'The Shire' from the Lord of the Rings & Hobbit movies was more then we could have hoped it would be. 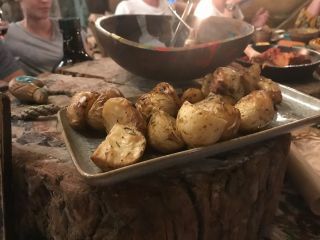 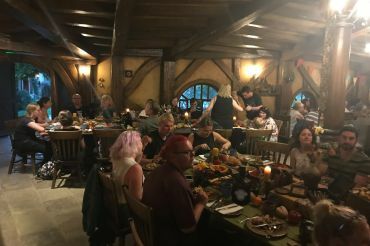 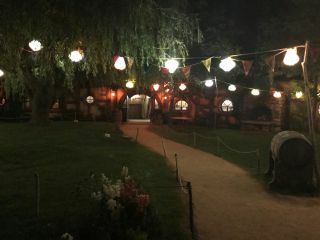 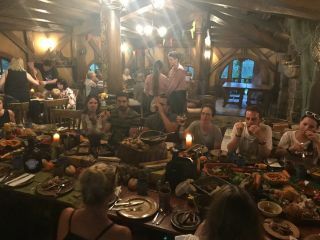 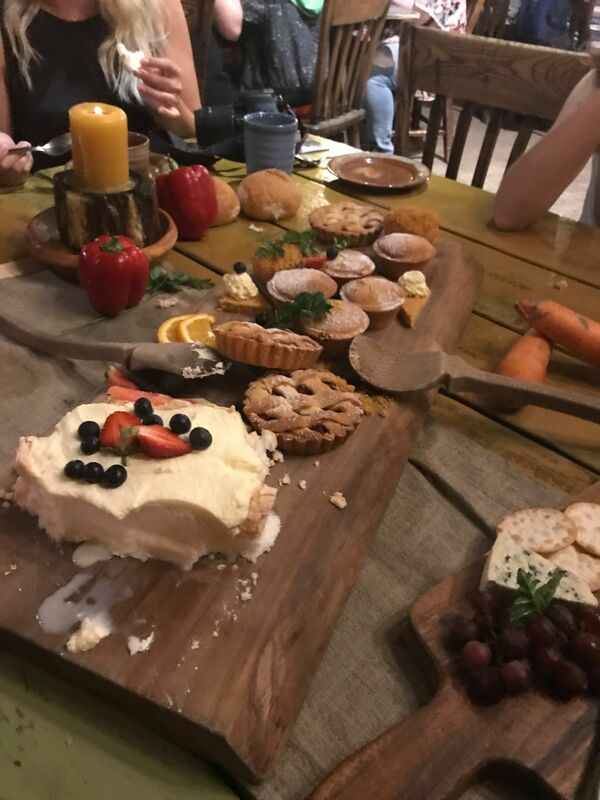 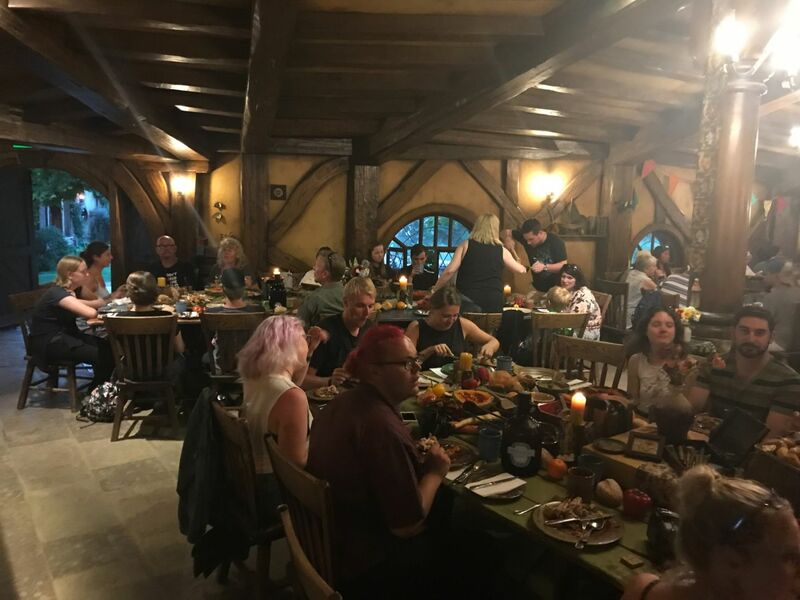 We took the evening banquet tour which meant we started with a a full tour at 6 pm (just start of twilight) and then we had a HUGE feast at 'The Green Dragon' pub and then finished with a lantern lit stroll back under the party tree. 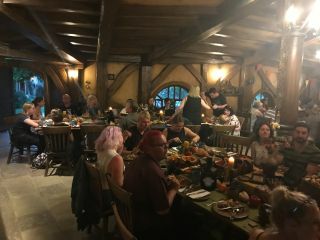 Since we went on the evening tour, our group was just 48 people and no other tours, meaning we were able to get so many photos without anyone else in them. 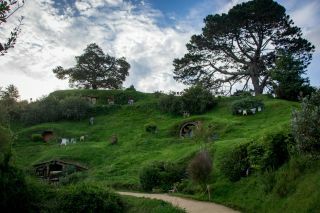 That would be impossible during the daytime with tours going every 10 minutes. 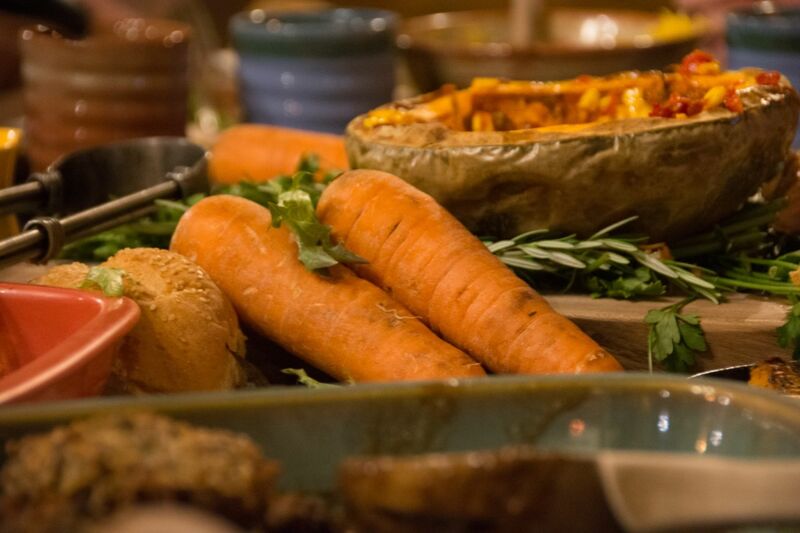 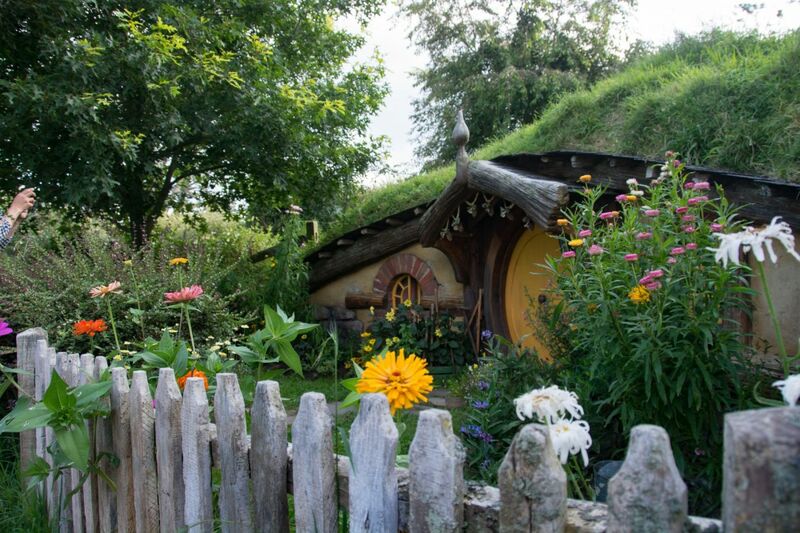 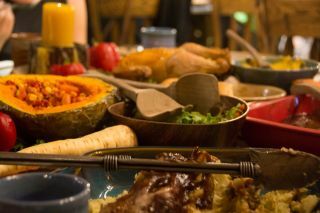 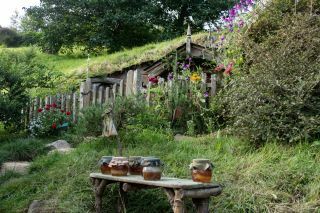 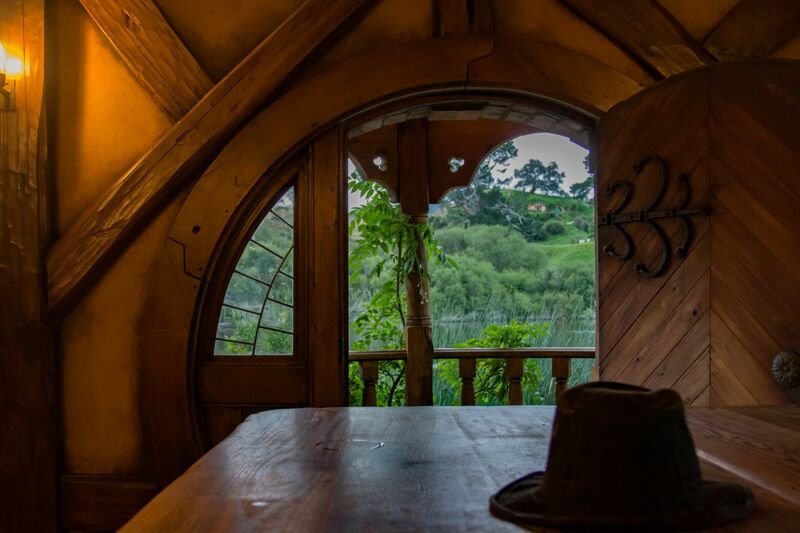 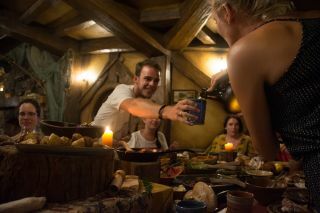 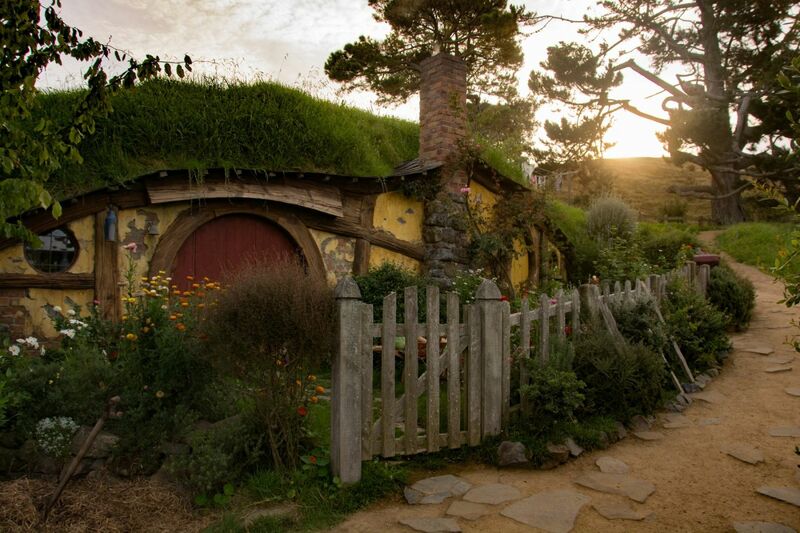 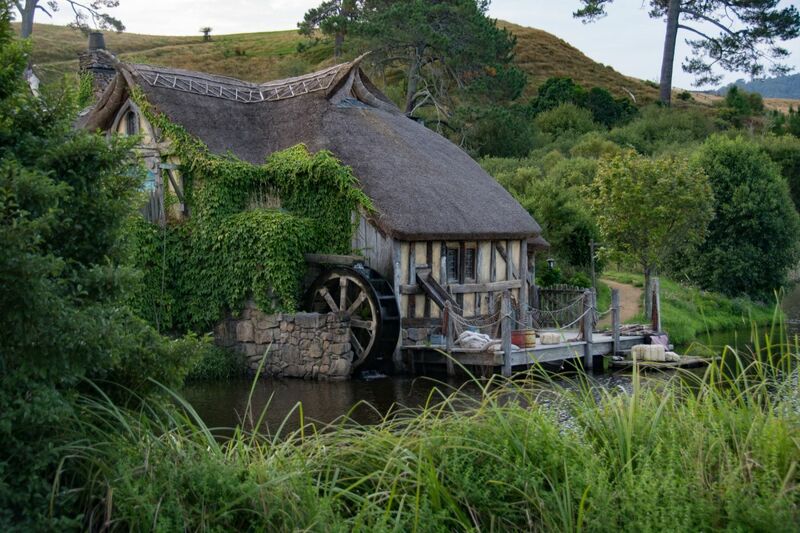 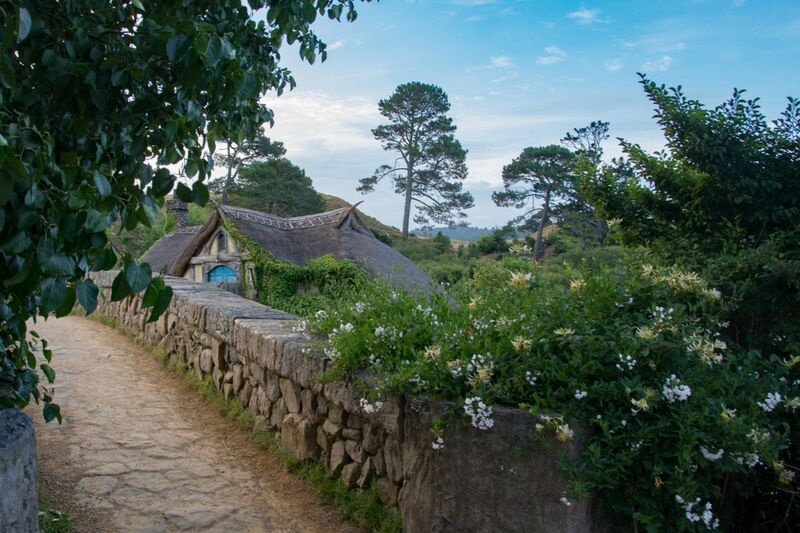 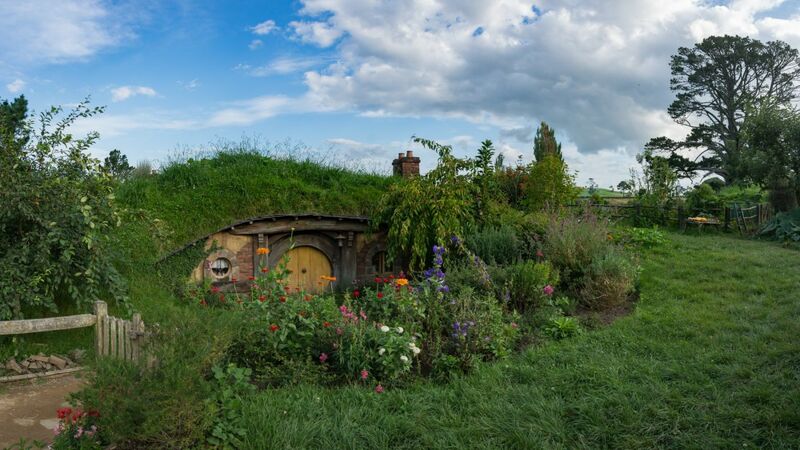 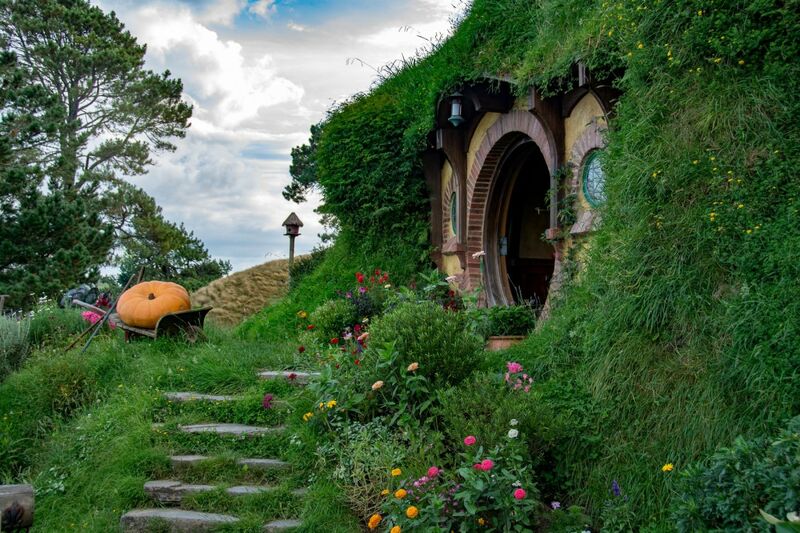 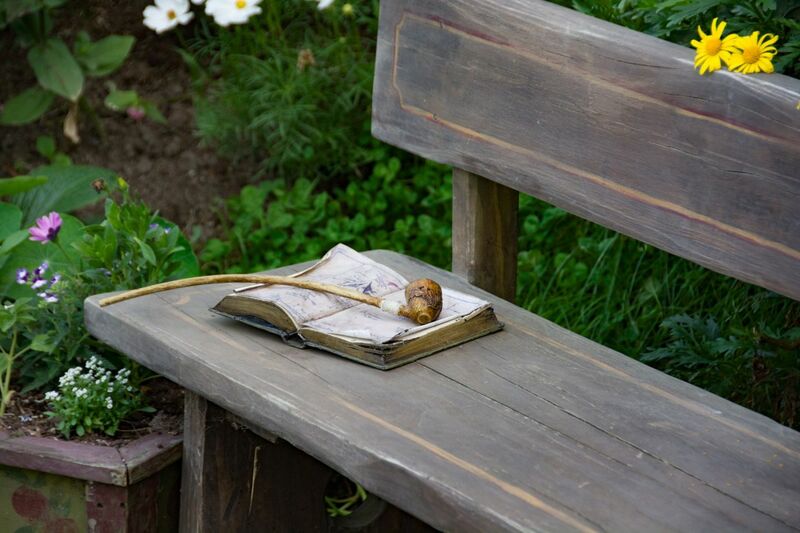 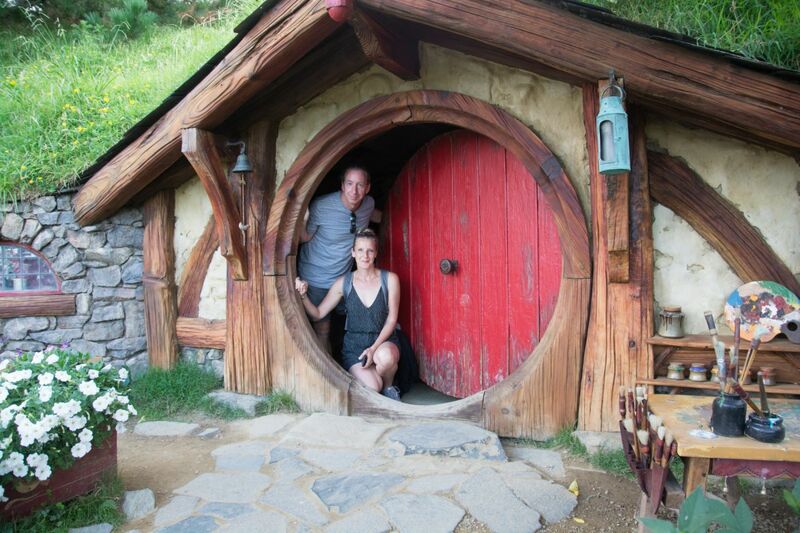 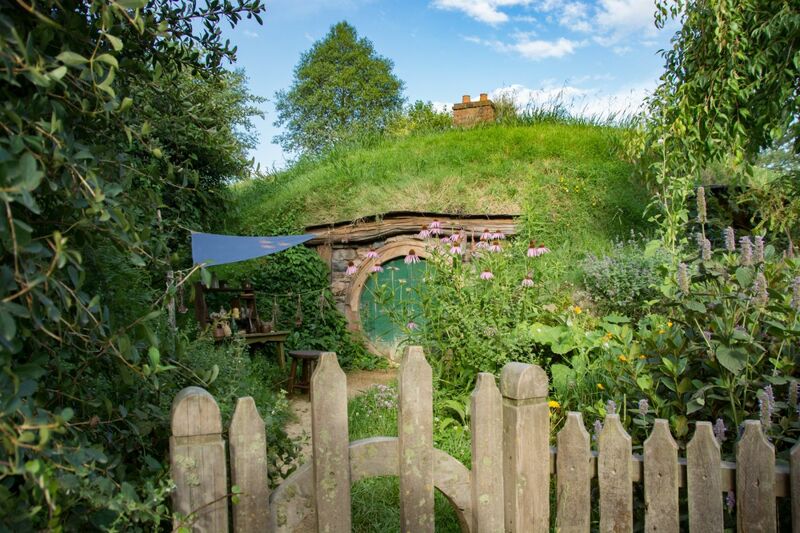 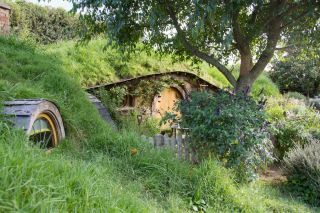 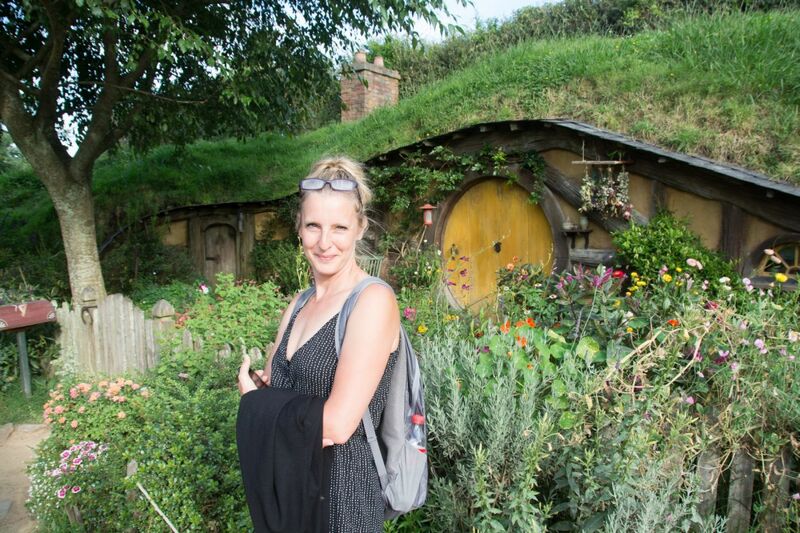 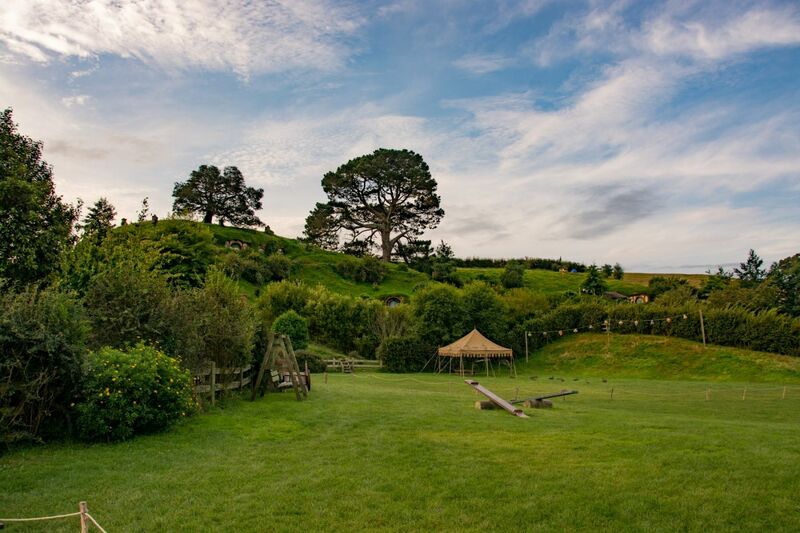 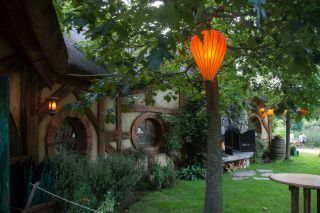 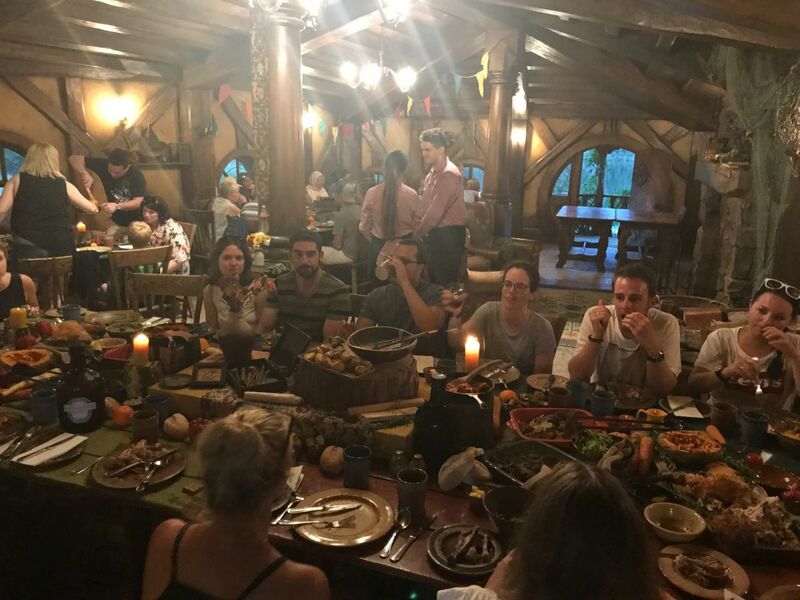 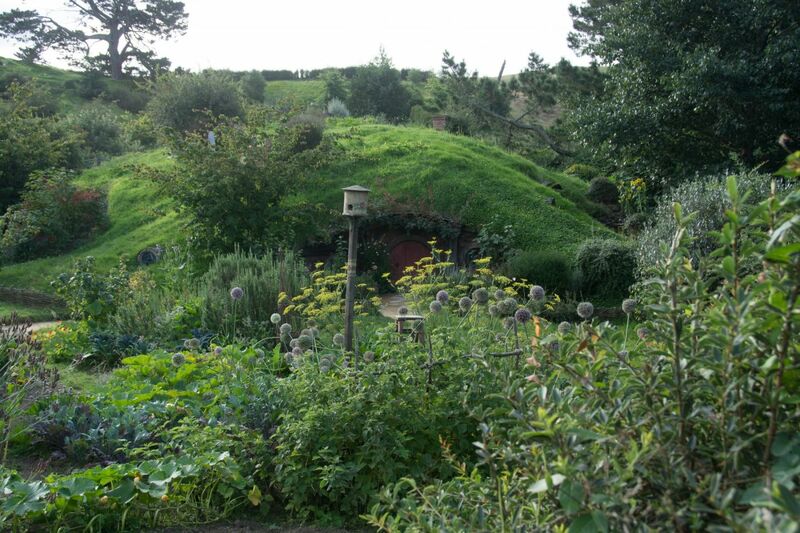 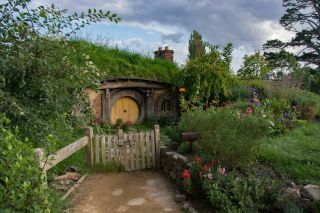 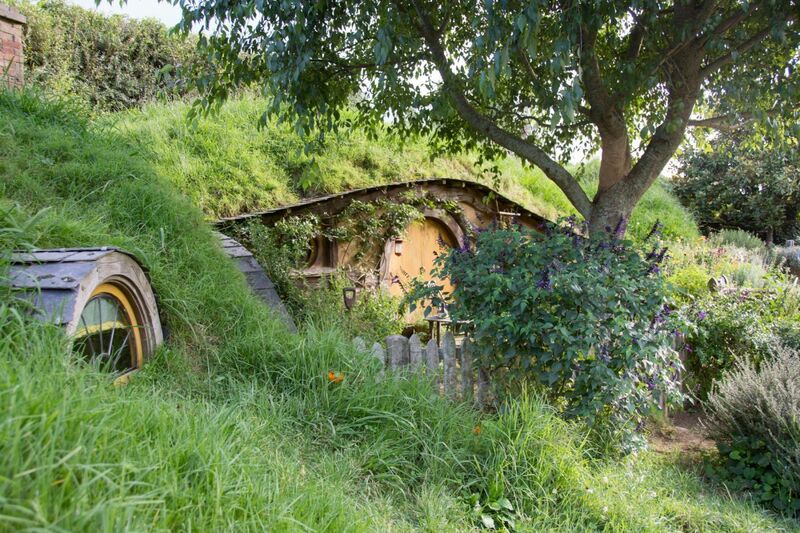 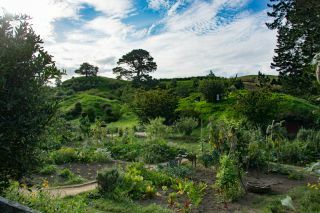 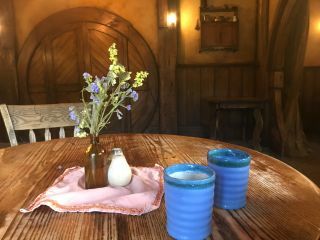 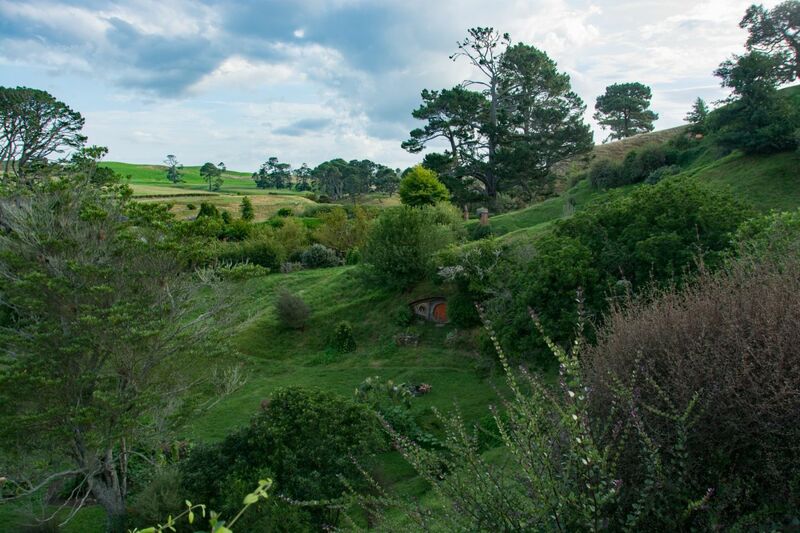 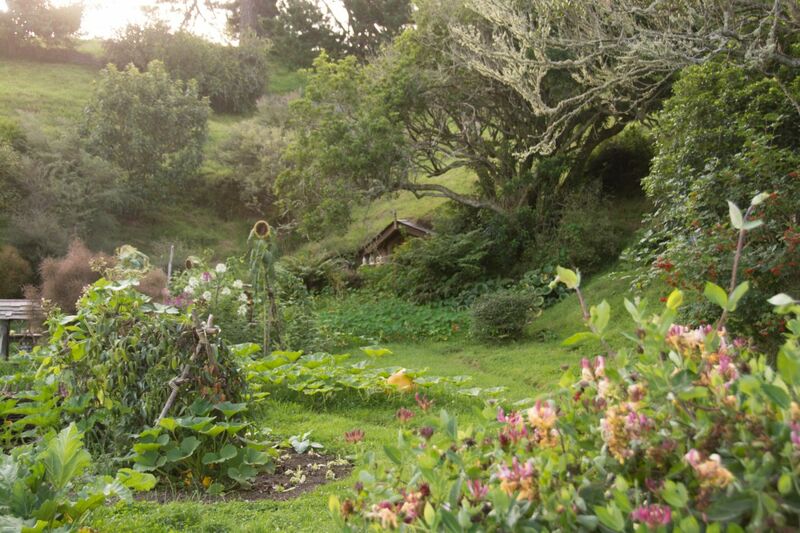 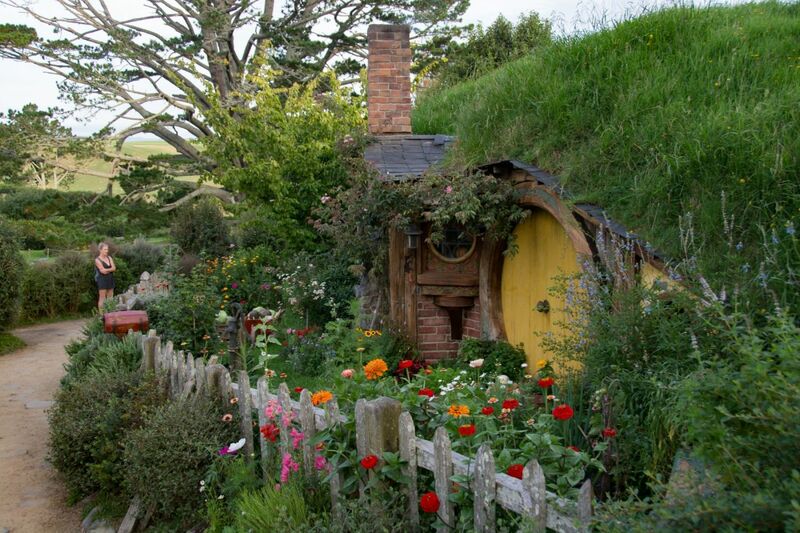 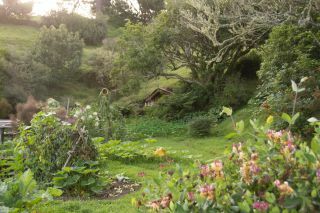 The set hosts many Hobbit home exteriors as well as gardens, party ground, the pub etc... 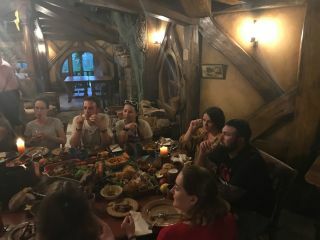 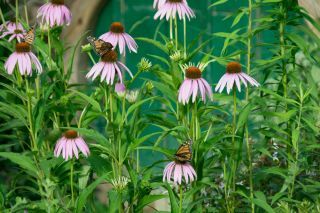 The stories and details that were provided on the tour were terrific and the guides made the whole experience very authentic. 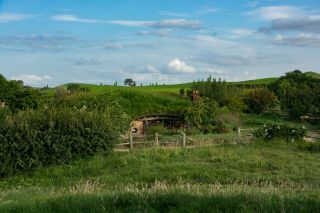 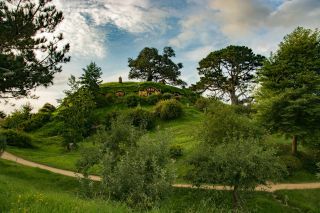 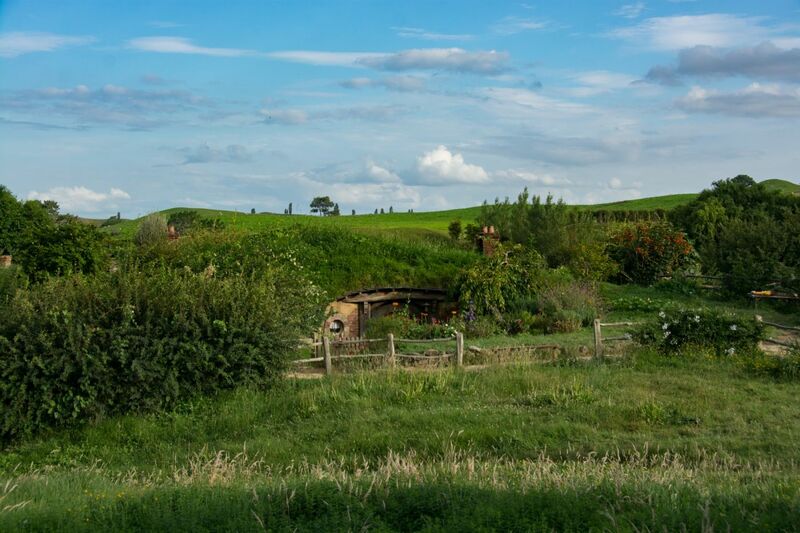 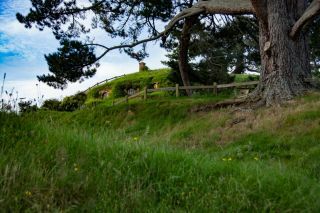 One interesting fact is that the location scouts were considering a combination of multiple locations in order to film the scenes around the Shire but when they found this spot they found it so perfect that they could do it all in one place. 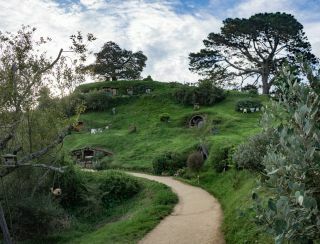 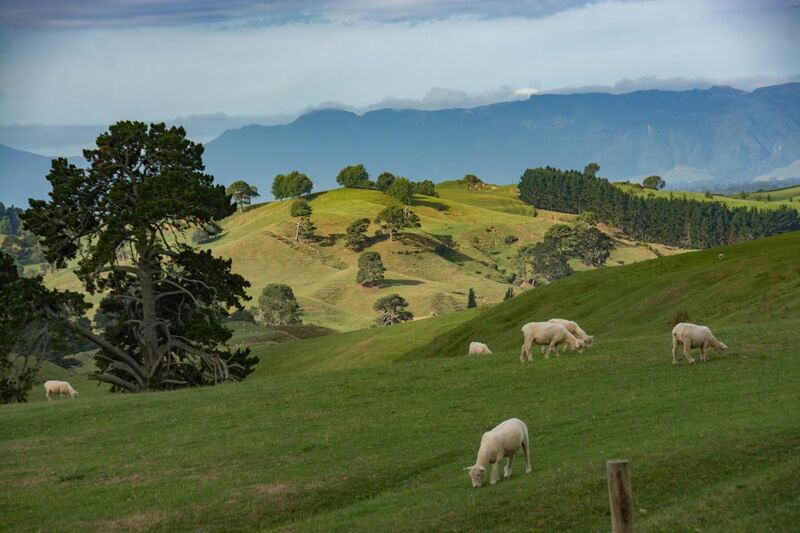 Of course there was much excavating and building needed but the government of New Zealand 'loaned' them the Army to build the first road into the location for them ! 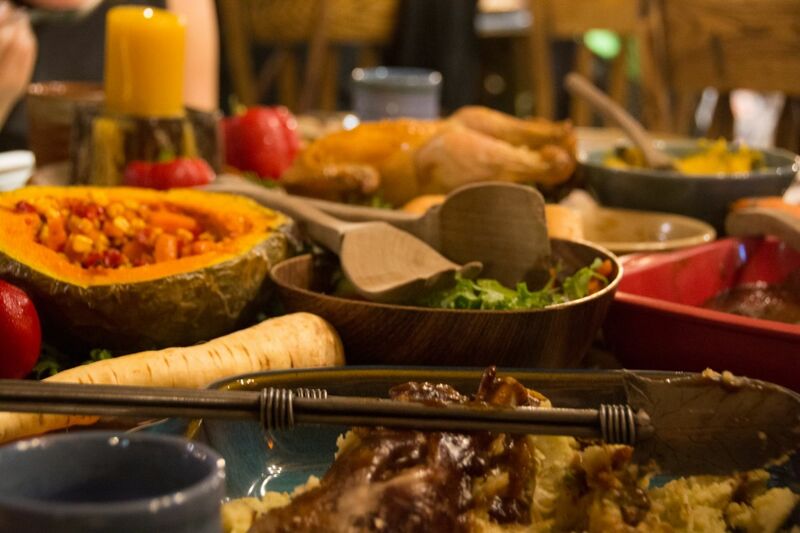 The detail is truly amazing, including hand painted tree leaves (for the best colors), scaled down hobbit holes so the actors would look the right size, and carvings, decor and slightly 'overgrown' gardens. The tremendous effort that must go into maintaining this set to the level of perfection so that even super fans are impressed = unbelievable !